In response to the alleged hazing incident on Thursday night and Friday morning, the University took steps to immediately suspend activity by the social fraternities and sororities associated with the school. They also plan to launch a review this week of the groups' activities, education programs, policies and practices. 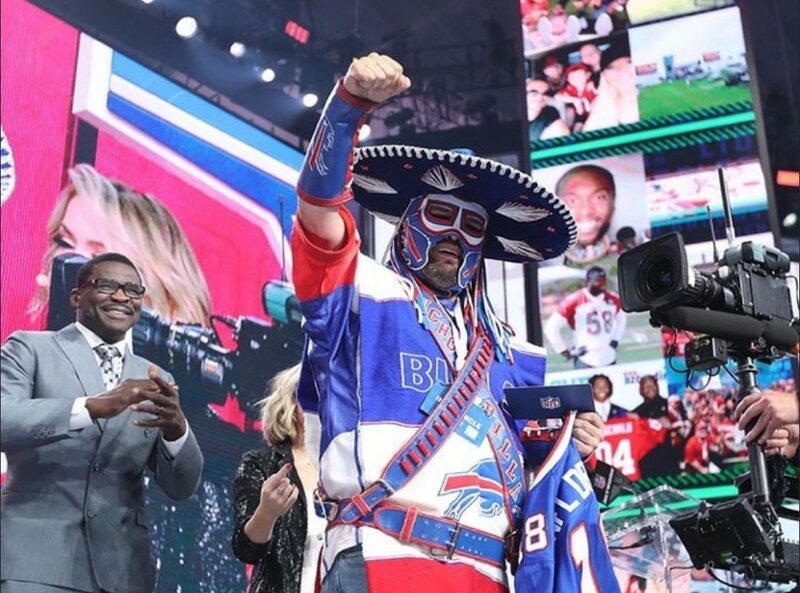 Ezra Castro, better known to Bills fans as Pancho Billa, suffered a setback in his cancer treatment this weekend. But as in the past, the team and its fans are rallying behind him: Former Bills wideout Stevie Johnson offered to step back from announcing the Bills' draft pick this week so Castro can do it instead. When 12-year-old Badraldeen "Badr" Elwaseem was killed by a stray bullet on April 6, his outsize plans for life — "I want to be big," he told his family. "I want people to know who I am." — died with him. His family shares their story, and their visceral pain, in a moving piece by Maki Becker. The way people shop is changing, and that's benefitting some outfits more than others. Army Air Force Staff Sergeant Vince Rogers Jr. dreamed of returning home to Buffalo from the Pacific during World War II. But that dream never happened. The 21-year-old radio operator his cousins knew as "Buddy" died when “The Miss Bee Haven,” a B-24 Liberator bomber, crashed in a lagoon while attempting to embark on a night mission from Tarawa atoll. Of a crew of 10, Vince and six others were killed. At war's end, he was listed as missing in action. With his gregarious and caring nature, Chris Ignatowski lit up the lives of the athletes he coached, the physical education classes he taught, and the co-workers he grew friendly with over two decades at Lake Shore Central schools.